WinTLT Technologies Walkin Recruitment in Chennai | Software Engineer Jobs | 29th July 2017. WinTLT is going to conduct the latest walkin Drive in Chennai. Here in this article, we are providing the complete details about the WinTLT Walkin drive. Qualified Freshers as well as experienced candidates can attend for the Recruitment Drive which is on 29th July 2017. This is an excellent opportunity for the candidates who had completed Graduation in BE, B.Tech, MCA. WinTLT has strictly noticed that no registration fee is required to attend for WinTLT Careers. Should have good knowledge along with the excellent communication skills are required. Who had completed graduation in Computer Science, IT, MCA only those candidates are eligible to attend. From this post, aspirants can easily get the complete details about the WinTLT Walkin Recruitment in Chennai. Aspirants who are going to appear for the interview have to prepare well to crack the Recruitment process. The selection process consists of 1 round i.e., Programming Aptitude test followed by Interview. The candidates who had cleared the interview process will get the attractive salary based on performance as per the norms of the WinTLT company. To guide the candidates we are providing the WinTLT Written test papers and WinTLT Placement Papers. In the following section of this page, we are providing the complete job description and required skills. The interview process starts from 9 AM onwards on walkin date. Keep on visiting our website www.allindiajobs.in for more latest updates. WinTLT is conducting a Walkin Freshers drive for Computer Science, IT, MCA graduates. You can refer your friends too. WinTLT is an IT services, business solutions and outsourcing organization that delivers real results to global businesses. WinTLT with its solid track record delivers unmatched business value to its clients through a combination of process excellence and quality service delivery. 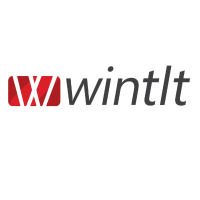 WinTLT with its headquarters in Toronto, Canada, provides IT services for its North American market and other offices in the United Kingdom, Australia and India cover rest of the world. WinTLT thereby has a global presence and provides solutions to its clients on a 7/24 hours basis. Are you searching for Software jobs, you are at right place. WinTLT is hiring freshers and experienced candidates for the designation of Software Engineer. Who are interested and eligible can attend for the WinTLT Walkin recruitment 2017. To know more details applicants can check the official website to avoid further complications.